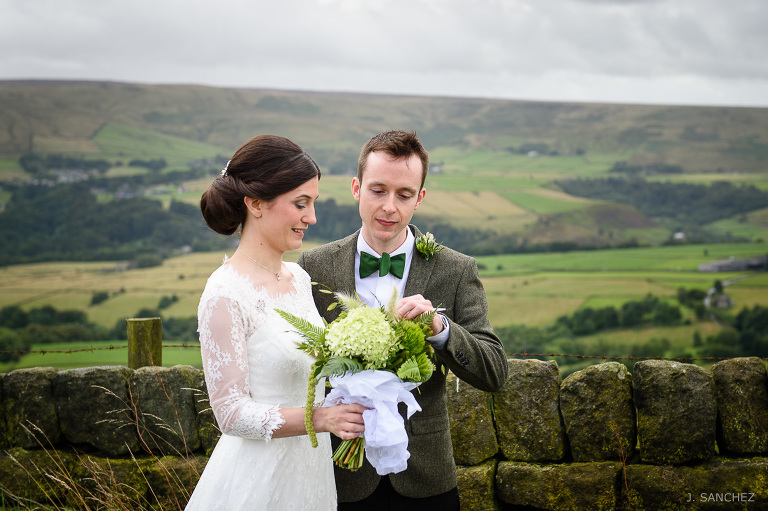 TODMORDEN WEDDING PHOTOGRAPHER – KAYLEY & SAM. 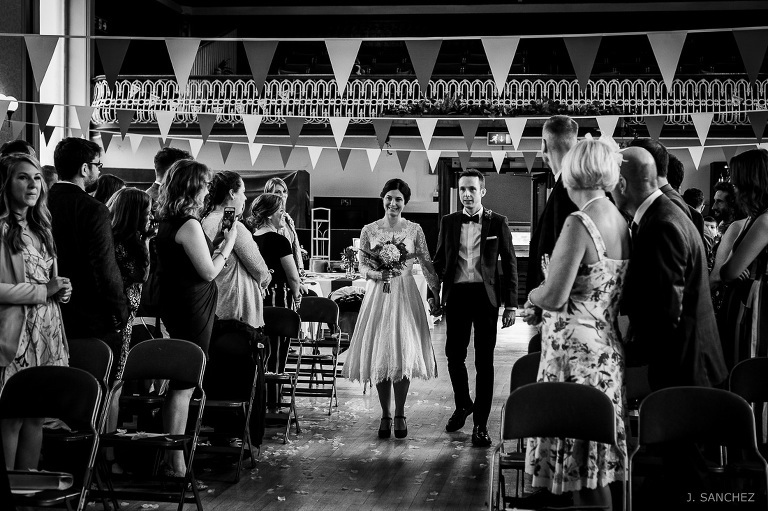 In the middle of August I headed to Todmorden, West Yorkshire, to cover the wedding of Kayley and Sam at the Town Hall. 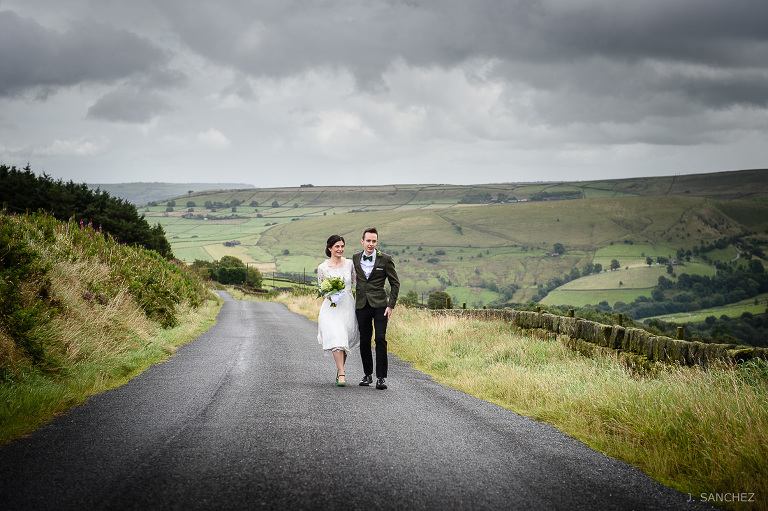 This wedding was a bit different, curiously they had decided to meet before the wedding for a walk around the countryside near to Todmorden. After that, they went together to the ceremony at Town Hall. The Todmorden Town Hall is a carved stonework bulding, which holds a strong place in the townscape and features as one of its most striking and distinctive buildings . 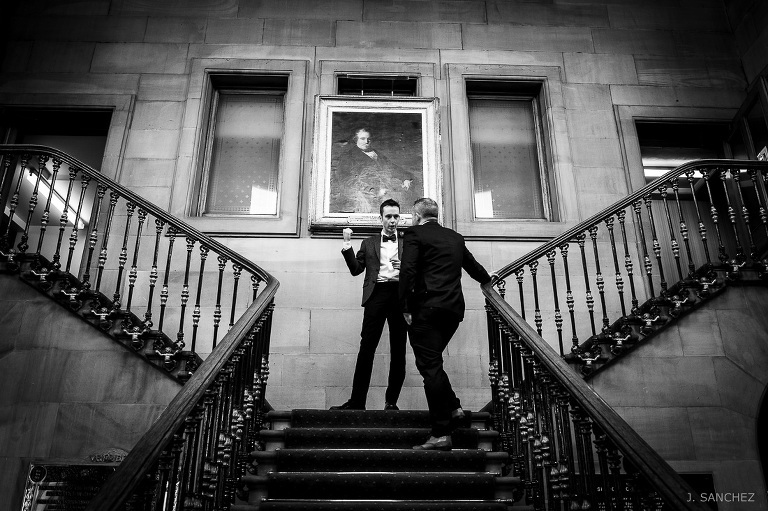 The ballroom, where weddings are held, has a high ceilings and large windows providing a nice and soft light, which you have to take advantage of if you are a Todmorden wedding photographer at this venue. 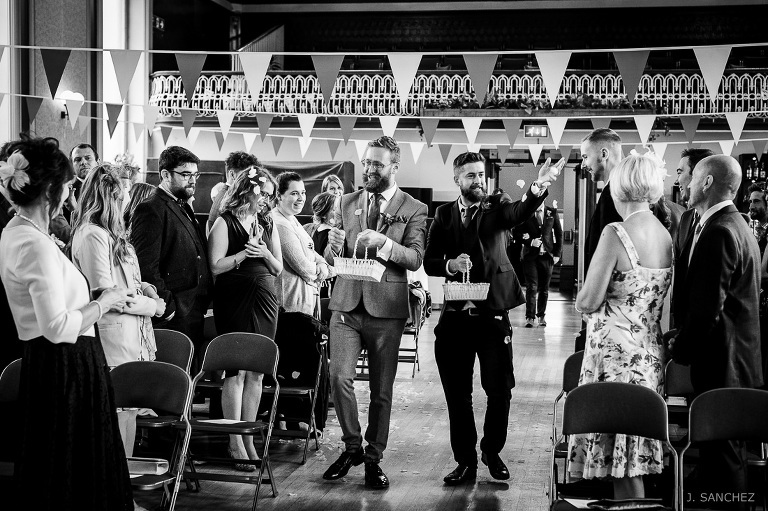 The bride and groom walked the aisle preceded by their groommaids until arriving at the edge of the stage where the best man and the registrars waited for them. The wedding ceremony flowed with naturalness, and subsequently the wedding reception downstairs. The wedding breakfast, the speeches and the final party were celebrated at the same ballroom. Without a doubt the couple chose a beautiful venue with great character to celebrate the entire wedding. I wish you both all the best.